What type of tires will work for your driving style and your car? There are so many tires on the market that choosing a tire can be a staggering decision. The tire specialists at the Rad Air Complete Car Care & Tire Center in Brunswick can narrow down your search by telling you the appropriate size and recommended brands for your car. Where do you drive? When do you drive? Tires that are suitable for a person that does little driving may not be the same for those who are out in the most inclement Brunswick weather. 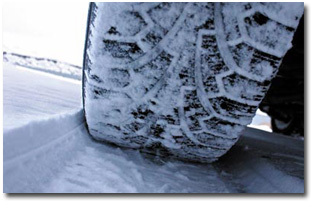 If you drive in sleet, ice, snow, and rain, then a snow tire or multi-season tire may be the best choice. Are you ready for new tires? Age isn’t as big of a factor in driving as miles. In fact, you might have tires that are only a few years old, but if you have put 50,000 miles on them, you might be ready for a new set. Let the professionals at the Brunswick Rad Air Complete Car Care & Tire Center give you their advice on whether you are ready for a new set. Age isn’t as big of a factor in driving as miles. In fact, you might have tires that are only a few years old, but if you have put 50,000 miles on them, you might be ready for a new set. Let the professionals at the Brunswick Rad Air Complete Car Care & Tire Center give you their advice on whether you are ready for a new set.